Want to play Fallout 4 in your computer but didn’t know the system requirements for Fallout 4? You’ve come to the right place! This post shows you the detailed information of the Fallout 4 system requirements on PC. Here are the minimum system requirements to play Fallout 4, and make sure to meet the minimum requirements in your PC. 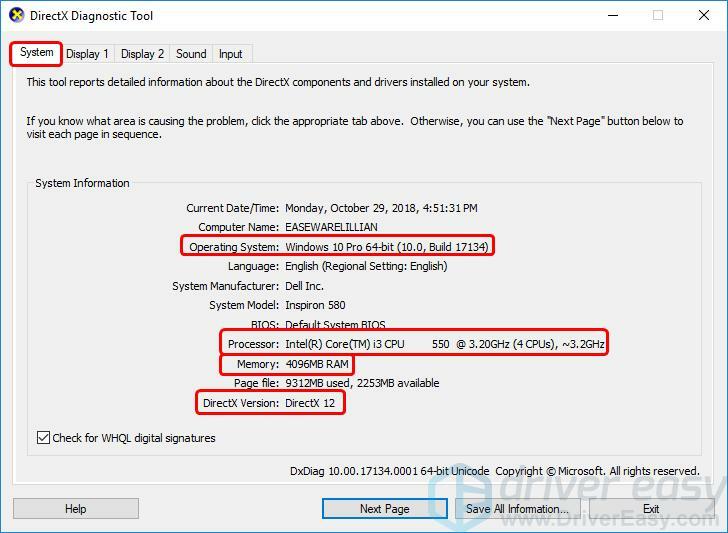 3) In DirectX Diagnostic Tool under the System tab, you can check the OS and system type, the Processor, Memory, and the DirectX version. 4) Click the Display tab, and you’ll see the graphics card information. Compare your system information and see if it meets the system requirements for Fallout 4. 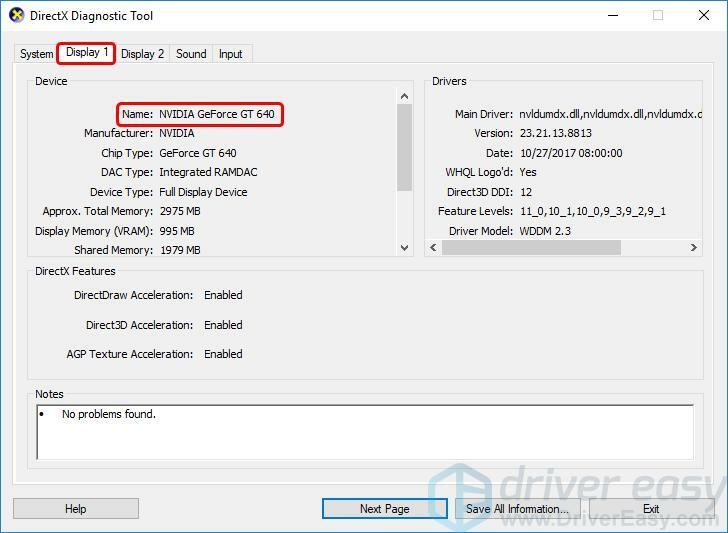 Your graphics card plays a critical role in playing games, and the latest version of your graphics card driver can bring you the best possible performance. 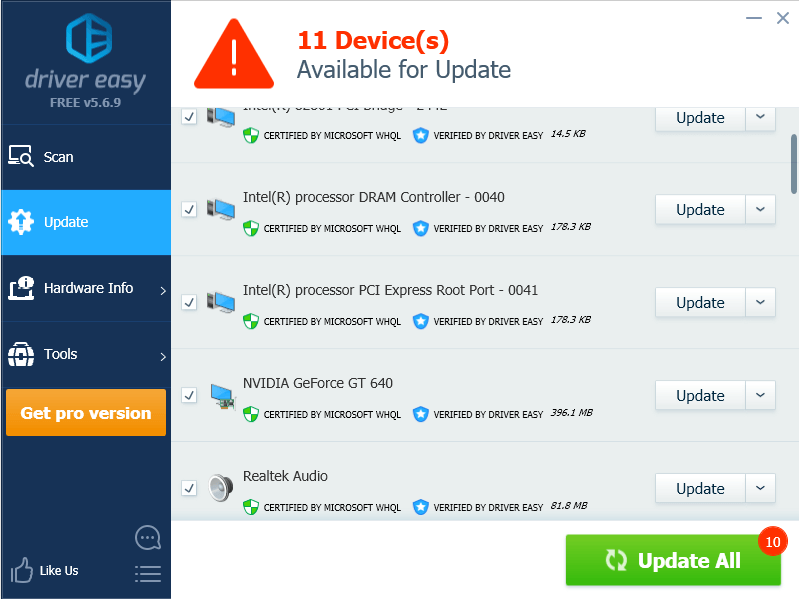 So you should keep your graphics card driver up to date. Meanwhile, updating your graphics card driver can prevent your PC and your game from generating various issues like crashing. 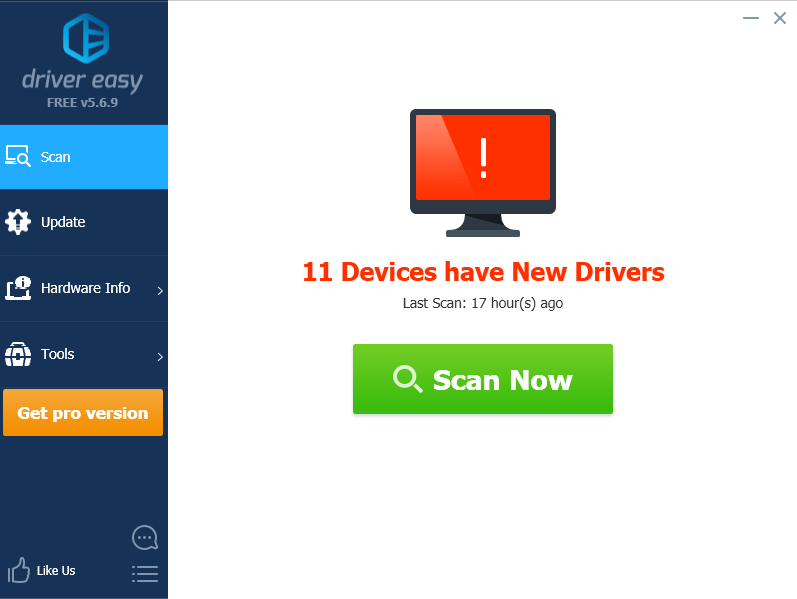 Manual driver update – You can go to the manufacturer’s website, find the latest driver for your graphics card, then download and install it in your computer. This requires time and computer skills. 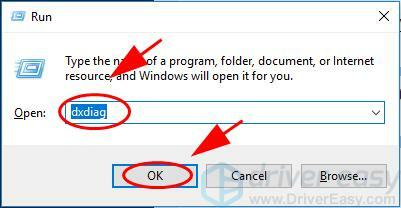 3) Click the Update button next to the flagged video card to automatically download the correct version of its driver (you can do this with the FREE version). Then install it in your computer. So there you have it – the Fallout 4 system requirements in your computer, and the bonus tips to improve your system performance. If you have any questions, feel free to leave a comment below and we’ll see what more we can do.